Guest Blogger: Anna Dausman is a linguist and storyteller based in Philadelphia, Pennsylvania. Anna earned her BA in English and Linguistics from the College of William & Mary, and is pursuing an MS in Public Administration from Fels Institute of Government. You can reach Anna at adausman@gmail.com. Patrick Goodridge is a linguist, language teacher, and writer based in Philadelphia, PA. He will earn his BA in Linguistics from the University of Pennsylvania this May, and hopes to enter an MA program in Russian, East European, and Eurasian Studies thereafter. He also works as a linguistic adviser for 3ears.com, a new Russian language learning site You can reach him at pgoodr@sas.upenn.edu or find links to his other work on LinkedIn. 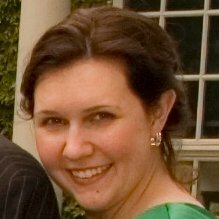 Guest Blogger Holly Lopez Long is an analyst based in Colorado. She currently conducts qualitative research, program evaluation, and creates actionable reports that drive program improvement at Jeffco Public Schools. Would you like to be a guest blogger? Contact Career Linguist.